One of the Best Dystopian I know. So far, it has been one of the best in every genre I have read since I started reading many moons ago with the Harry Potter Series (which you’ll notice how much I love in weeks to come). Back to Divergent, of course I will not make any spoiler, I loathe spoilers so I won’t have that and if I do, I will tell you before you read a review; now the love I have for Four is weird, he is not The Character for me but he is amazing and in my mind’s eye quite gorgeous and hot, if I wore in a new place he would definitely be the guy I would go to for a tour LOL. Here’s a quick overview of the books. I read it like in two days I was so engrossed in it, I found it fascinating I don’t know why (maybe because is amazing) but my goodness it was a nice read. Insurgent I deflected the reading and I confess it took me longer then the other books is not bad is just that my mind wandered a lot on that one and finally Allegiant. 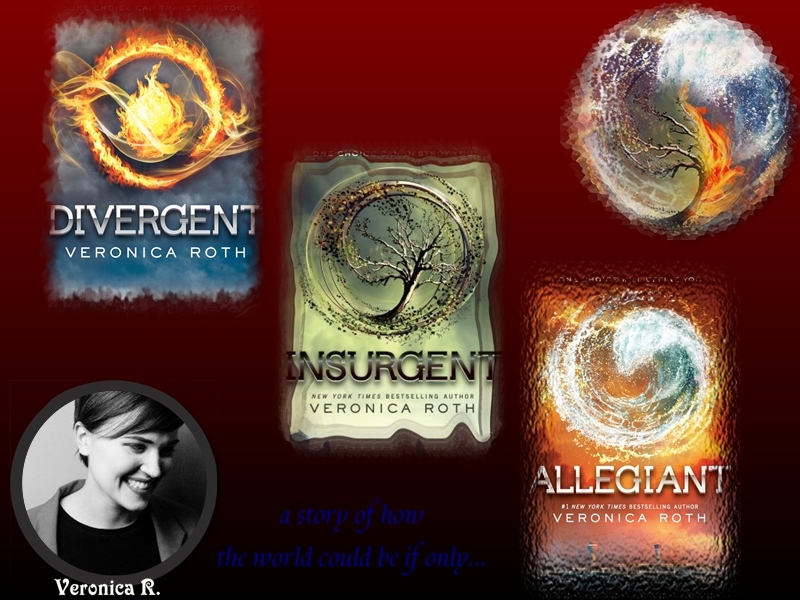 Allegiant was the tip of the ice-cream, the top of the mountain, when I was done with, like on 70% of it, I almost stop it, I was crying without even know the tears were rolling down my face but I pull it together and carried on, I HAD to know the end, finally it was over and it hit me, the feeling of a well written book was there in my gut, I hadn’t felt so many things for a book since the Harry Potter Series, I felt like a part of me had left, no more Tris, no more Four, all done I texted a friend of mine and… couldn’t tell him a thing because he hadn’t even started this book and now I am in the acceptance phase, it was great and all but now is over, so let’s get a move on, there are other books on the list, life must go on. Update: I was so tired last night that I completely forgot to mention that I love the POV of Tobias, when I read Free Four I was on a cloud thinking he was… well Four (*giggles*), today I am almost asleep while writing; I had my graduation and it was a long act. I’m officially a Telecommunications Engineer. Thank you for reading and if you love this Trilogy please share or leave your comments, I would love to know what you thought about it or what other books in this genre you have enjoyed.